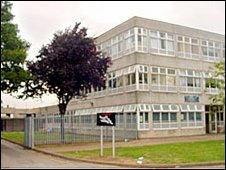 Councillors have agreed to speed up the closure of a Hull secondary school. David Lister School was due to close in 2015 under the council's Building Schools For The Future (BSF) programme. It has been in special measures since 2008 and the council said it was not in the best interests of its 800 pupils or staff to keep it open past 2012. The city council's cabinet agreed to a phased closure of the school so non pupil would have to move during their GCSE years. The authority said the phased closure had been agreed in response to parents' concerns, raised during a public consultation, that their children's education might be disrupted during their examination years. It means pupils will complete years 10 and 11 at one school. Councillor Christine Randall, cabinet member for education, said: "We have listened to parents' views and will do everything we can to work with them to ensure that all pupils will have the best possible chance to fulfil their potential." The council has promised to work closely with parents, pupils and the school to develop a transition plan for every child. It said the BSF programme would mean there was additional capacity in other schools in the east of the city to accommodate pupils who would have attended David Lister. The last intake of year seven children to the school will be in September.